Whatever YOUR Dream Getaway is, we want to make it come true! 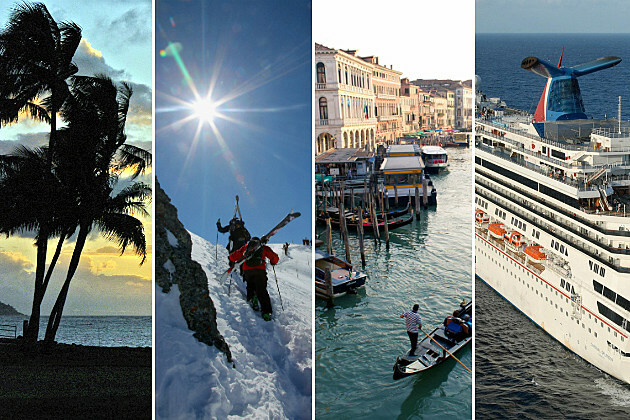 This is a once-in-a lifetime chance to win the trip of your dreams — and have us pay for it! We’re awarding five more Dream Getaways to five lucky Central Minnesotans this fall. If it’s you, we’ll set you up with the experts at Bursch Travel to help you make all the decisions and arrangements, and they send us the bill! 38 Central Minnesotan’s Have Already Won Dream Getaways! Five Central Minnesotans will have their dream realized this fall thanks to Bursch Travel, Roto-Rooter Plumbers of St. Cloud, Line-X Protective Coatings & Truck Accessories, Jimmy’s Pourhouse of Sauk Rapids, Luther St. Cloud Honda, and M&H Appliance.